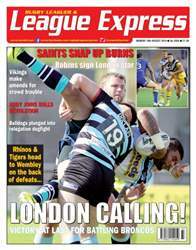 This week's League Express looks back at all the action from over the weekend, and forward to Saturday's Tetley's Challenge Cup Final at Wembley. 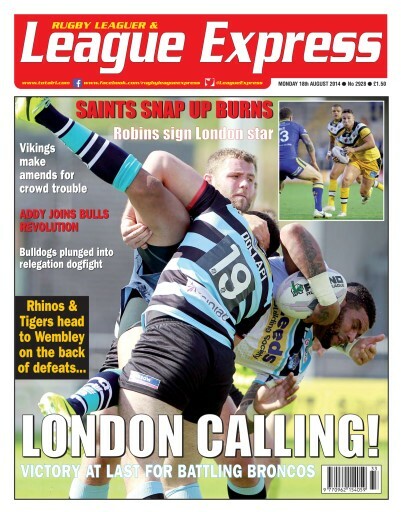 We have a full preview of the big event, with editor Martyn Sadler and columnist Garry Schofield analysing how the game between Leeds Rhinos and Castleford Tigers might unfold, and what are the key issues for both sides to address. We have reports, photographs and analysis from the big games of the weekend, with coverage of the Super League, the Championships, the amateur game and, from overseas, the NRL in Australia and New Zealand. And we have all the latest news from all the clubs, including transfer news and re-signings.